There's a vocal trait, a rattling scrape just below the words, that somehow makes every sung syllable seem sincere. Elvis Costello has it, and so do Alejandro Escovedo and Aztec Camera's Roddy Frame. Minibar's Simon Petty (how's that for a British-American name?) has it, too. That vocal "realness" turns Fly Below the Radar from a slow, meandering record by a quartet of transplanted Englishmen into the kind of album that slips into a listener's dreams. If Petty had even a whisper of a wink in his voice, Minibar's music would fall apart. Instead, Radar is another logical step in a post-Yankee Hotel Foxtrot world in which roots music has fractured, folded and reassembled itself. 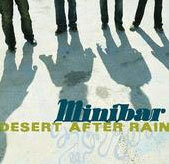 Minibar is as comfortable singing about mill towns as Tom T. Hall (even if these mills are in northern England), as much at home in the Badlands as Springsteen and as comfortable tinkering around with the finished product as Jeff Tweedy. This isn't country, and it's not British pop: Minibar has just added one more wrinkle to what can be done with sadness, a studio and a steel guitar.